I get asked this question a lot and yet, I’ve never written a post about it so here goes. 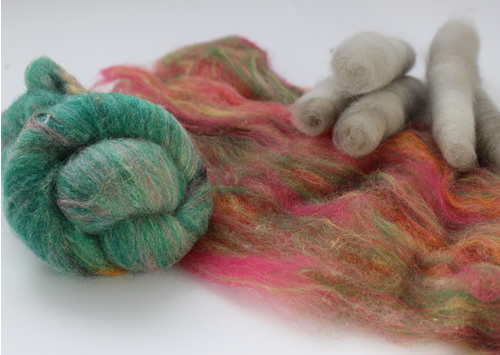 These are the products of a drum carder. It’s like a blanket of fibers all jumbled up and worked together to create this form to spin from. You can break off pieces in many different ways or just spin from a corner of the batt itself. 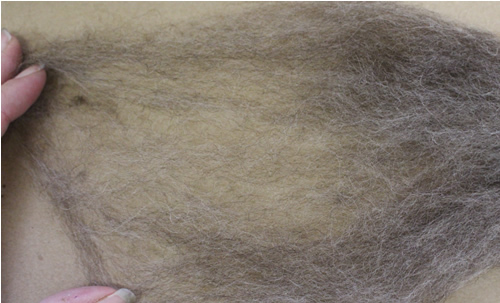 Depending on how a particular batt is made the fibers can be more straight or more jumbled. Many mills produce this type of product. It’s jumbled up fibers produced and made into this long ongoing length. There can be many lengths of fibers as well but you might never notice as it’s all jumbled up. As it comes off the milling machines it has a slight twist given to it. Not a twist like you’ll do in spinning but it is a twist as it goes into it’s bump or milling can and it does help hold it together some. 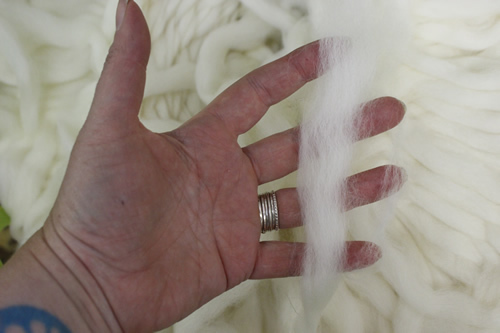 Similar to the way a batt is and depending on the mill can depend on how much the fibers appear to be jumbled up. It is generally very airy and some people find that easier to start spinning with. 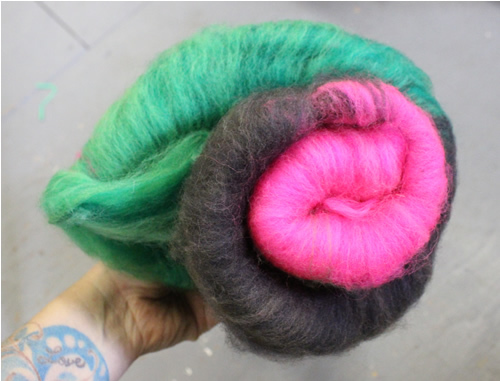 You can make a batt into roving by attenuating it. 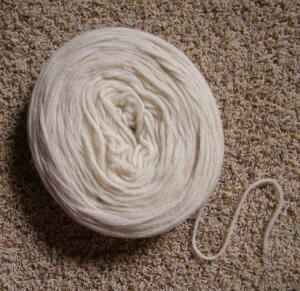 This stuff may not look remarkably different than roving in a photo but it feels differently. 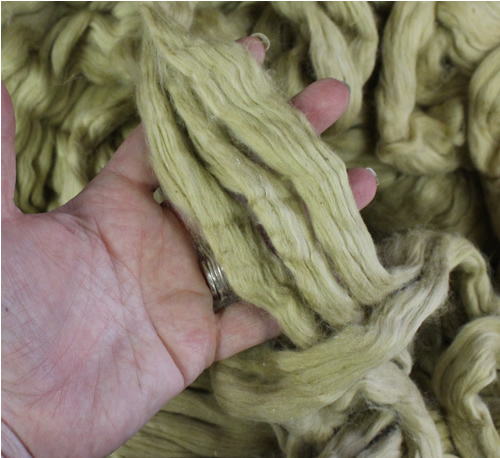 It’s simply roving that’s been put through one more mill process that is a series of pins that further opens up and makes the roving airy. This is a flat piece of fiber rolled into a continuous length like a tube. Easily opened and laid out flat. You can see the crimp but also that all the fibers are in a straight formation, not jumbled like the roving. All the fibers are well aligned and all short cuts are gone. The fibers are more homogeneous. It also feels more substantial and dense than roving. Like Roving this also has a twist given to it because of the way it comes off the machines and goes into it’s shipping form of a bump. This is the stuff that you will most often see as handpaint. 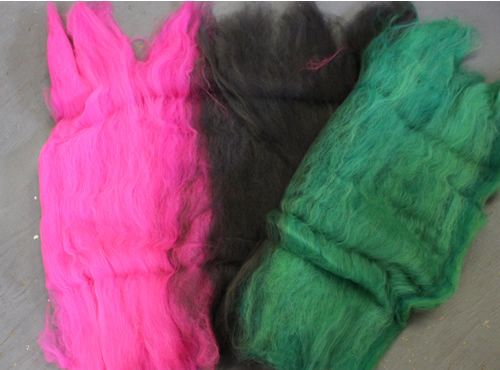 It should be noted that once it’s been dyed, the crimp has been activated and the fibers start to jumble themselves up a little bit. It’s still not roving at that point but if we’re being technical, it’s losing some of the qualities of straightness that combed top has. Ever so slightly, though. 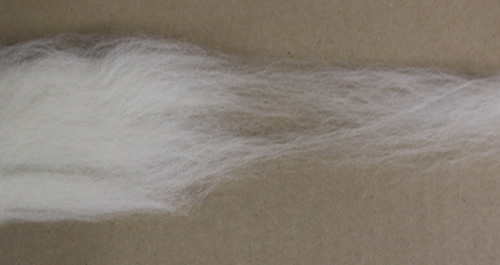 This is similar to the Commercially combed but it’s a lighter more airy form depending on how you make it. It’s still got all the fibers aligned straight. It’s still a continuous length and all the fibers are similar lengths and it’s cleaned up. It’s just a little bit straighter and some might say a little more perfect. 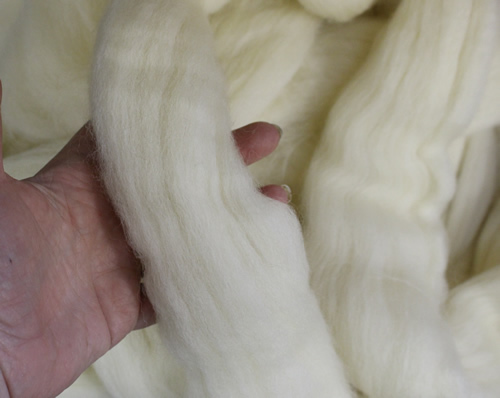 It is similar to roving but it’s a thinner example and often has more of an appearance of top in that the fibers are more aligned. It’s slightly less processed and rarely has a twist given to it. 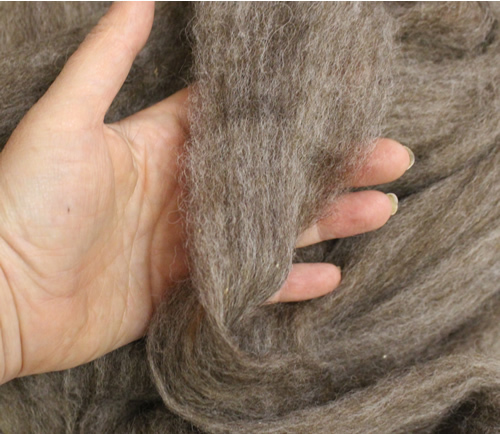 Some mills call this a pre-finished stage but some fibers you’ll often see sold this way like silk and cotton. This has no twist in it and it’s fairly thin but it can still be drafted and it definitely needs to still be spun to be super usable. It’s airy and light. The other most common way you’ll see Pencil Roving is in the knitter’s section. It’s thinner than the other version (thinner than a pencil) and it has a little twist to it and feels a little dense in comparison to the other kind. This stuff is ready to knit. This is one of the traditional ways that you will find cotton for sale. I borrowed the picture from an Amazon listing. 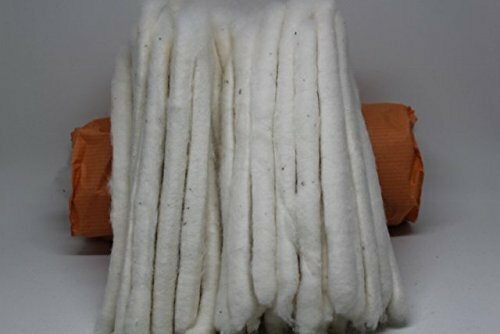 It’s cotton that’s been carded like a rolag and it’s been taken off the carder (usually hand cards) with a dowel or rod and made dense but attenuating and wrapping it on the dowel tightly.